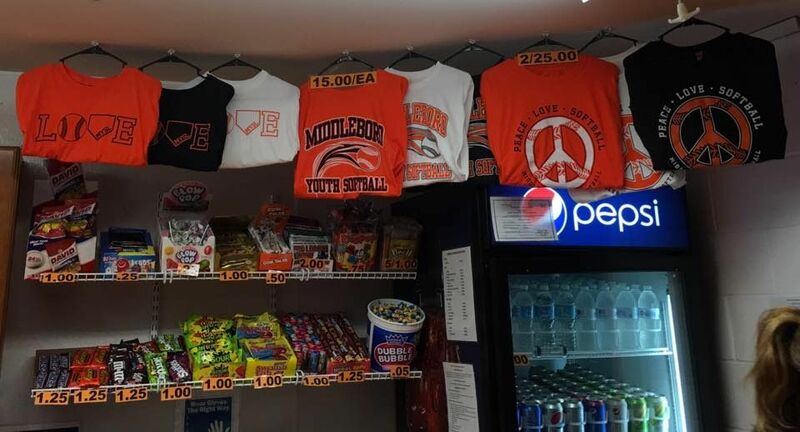 Each game the designated team must provide two (2) parent volunteers to work the concession stand during their scheduled game time. Failure to do so will result in an automatic forfeit for the “home” team. There should always be a total of two parents in the concession stand at all times. Wear protective gloves when serving food that is not prepackaged to customers to include but not limited to hot dogs, fried dough, churros, etc. Place all money received in cash box. Each parent is to count the money from the night and place in a deposit envelope with a deposit ticket- “Home” Coach will recount the deposit with you to ensure accuracy. The following money should be left in the cash box at the end of the game – Two (2) $10 bills, Four (4) $5 bills, Twenty (20) $1 – all change stays in the cash box. All soda, Gatorade, water, candy and paper products should be restocked at the close of each game so the next game starts fully stocked. We have a bin in the snack shack where people can leave their used (but still useable) equipment for others that may need it. If you have old gloves, bats, helmets, cleats, bat bags...any softball equipment, please consider leaving it in the bin at the shack. If you are in need of equipment please feel free to check the box. Thank you for your donation!